First thing this morning we go back to the airport to pick up our rental car. I am happy to say that this went very smoothly and we got a beautiful red Skoda Rapid which has lots of trunk space. I was a bit worried about that as the cars here are very small and many have very little trunks. It is not wise to have anything stored in the care interior but now we can easily fit everything into the trunk, which means we can stop and explore without worrying so much about possible theft from our car. 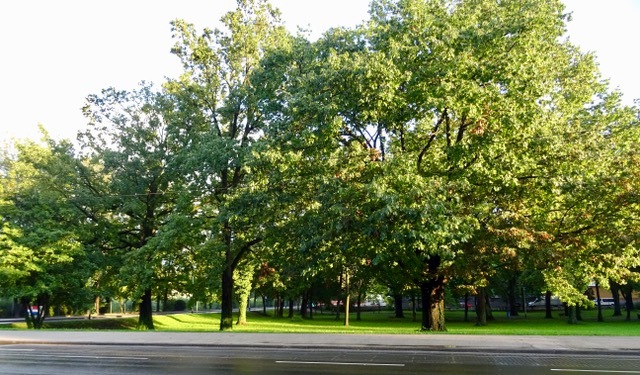 We find a spot on the street to park our car and after lunch we are off to the Zagreb Zoo. 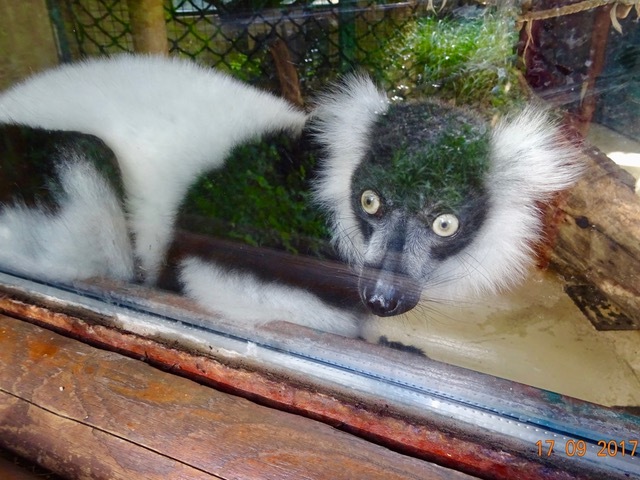 The sun is finally shining and the zoo sounds like a good idea. It is only 30 kuna each for entrance, which is $6.00 Canadian. A bargain. Unfortunately shortly after we arrive it begins to rain again. We wait out the worst of it in the Reptile Pavilion and then decide just to walk in the rain and see the rest of the zoo. 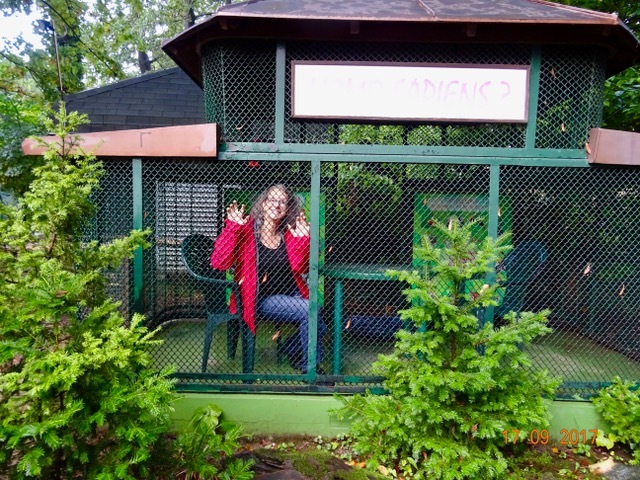 Many of the animals decided to hide from the rain as well, which was too bad, but we still saw enough to enjoy ourselves. 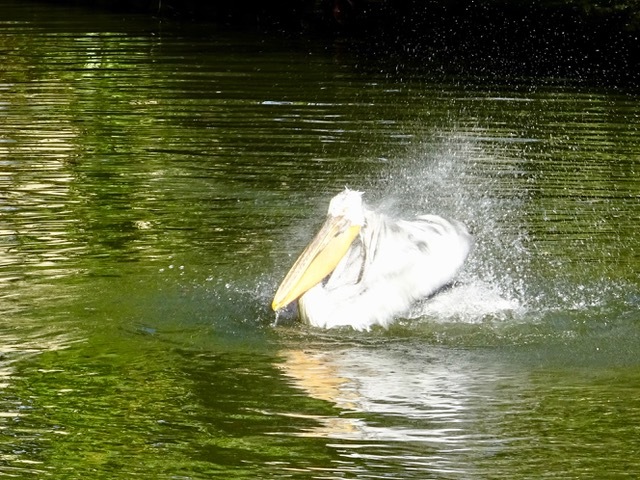 This pelican was taking a bath, it was funny to watch him splashing about A black and White Ruffed Lemur who looked rather frightened. 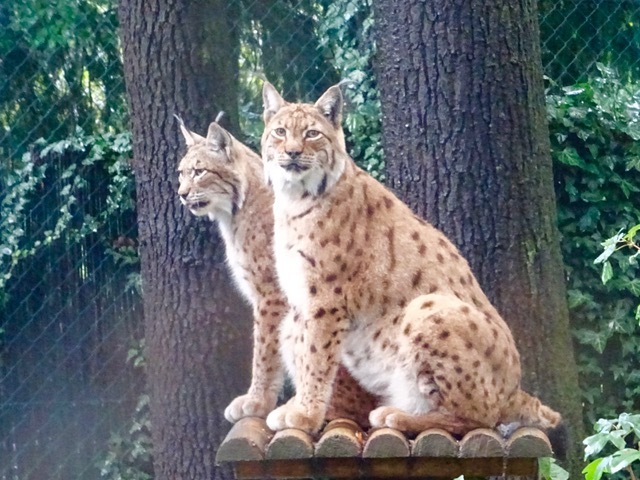 These two Lynx were worth the price of admission alone! They sat and posed for several minutes and then stayed in sight for quite a while longer. It was a real treat! 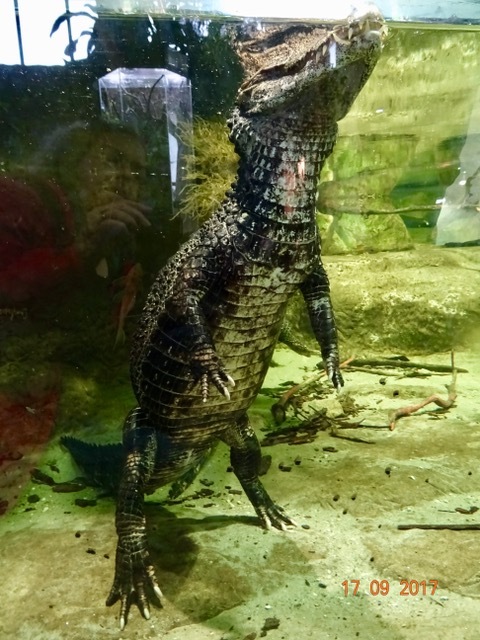 This Cuvier’s Dwarf Caiman was like a miniature Godzilla. He stood on his hind legs for the longest time, just staring at us. 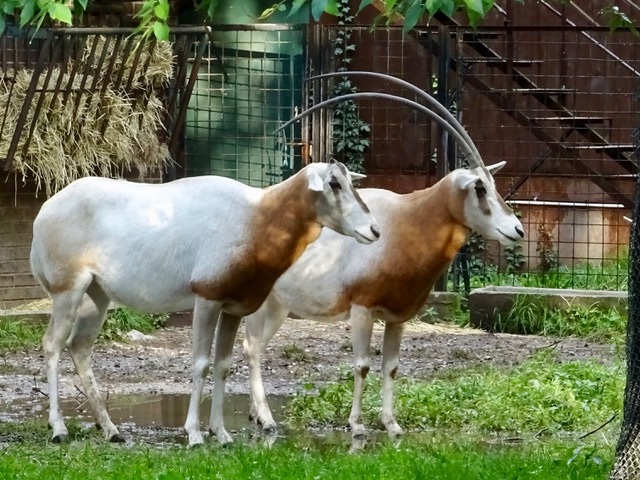 The Scimitar Horned Oryx didn’t seem to mind the rain… this Homo Sapien was a strange creature! 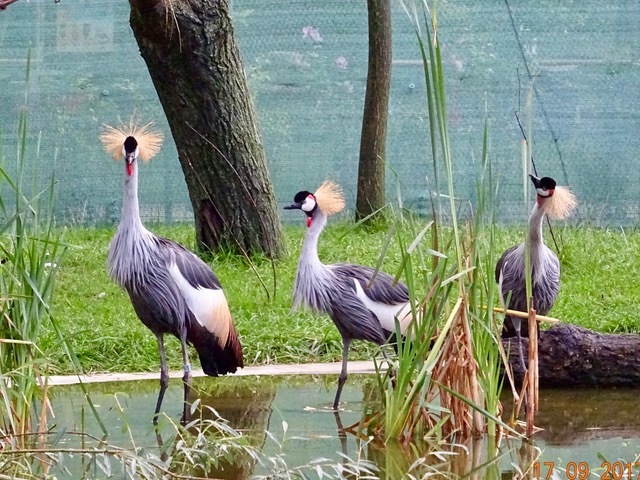 I thought these Grey Crowned Cranes were very beautiful. I love their top knots! 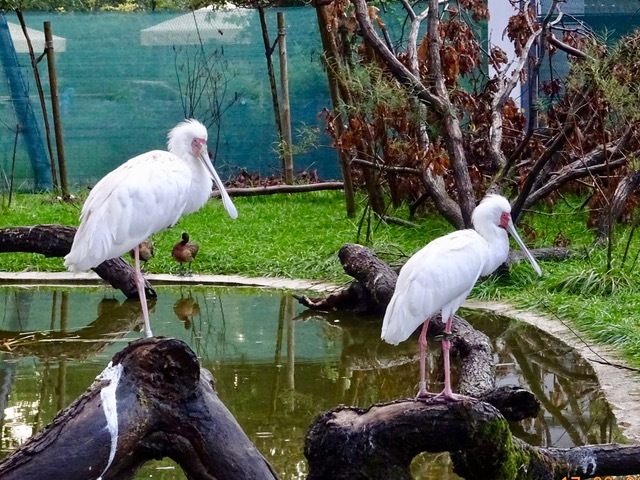 The spoon Billed Storks were quite majestic as well. 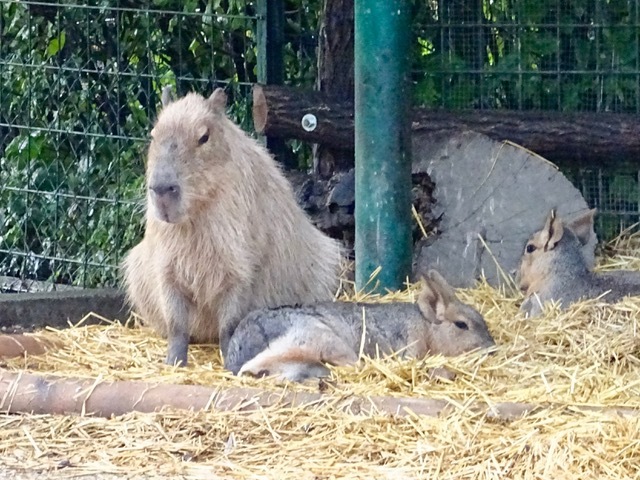 There were several families of Patagonian Mara. I think this big fellow was the one in charge though. This was a bit scary. Several young children thought they were playing with the lions, when in fact the lions would have loved to have them for lunch! 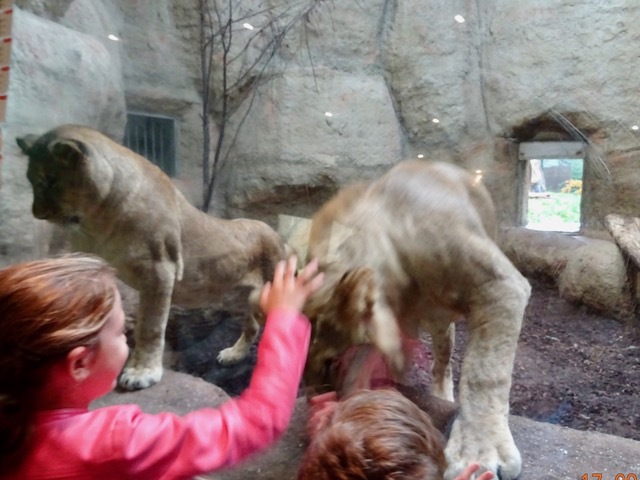 The smaller the child the more interested they were in trying to reach them, pawing at the glass with their enormous paws or trying to get their mouths around the children. 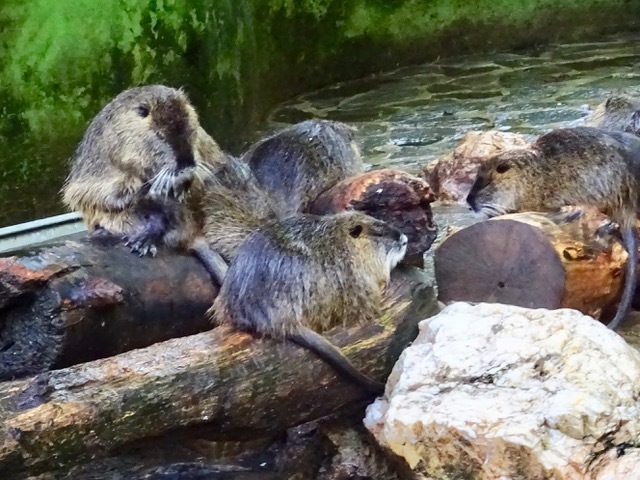 Honestly, their feet were practically the size of dinner plates and they have very big teeth! I have never been up so close to lions before. They are very large, muscular, intimidating and very beautiful. This female was huge. As soon as the little children left, all the lions went and lay down, completely uninterested in the adults who were there. I would have loved to stay and watch them longer but it was getting late and we were getting hungry, so time to go. The sun finally really came out as we were waiting for the bus home, I thought the light on these trees was wonderful. We go home, eat, and pack up, as tomorrow we head to Pula on the north western coast of Croatia. 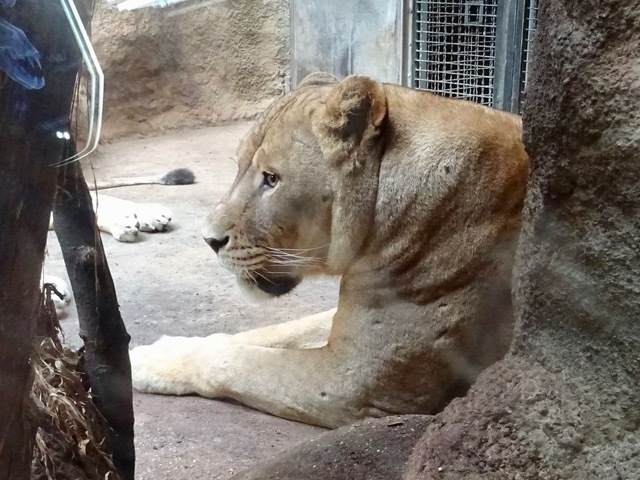 This entry was posted in Croatia, Uncategorized, Zagreb, Zoos and tagged Croatia, Lynx, Vacation, Zagreb, Zagreb Zoo by Trudy. Bookmark the permalink.